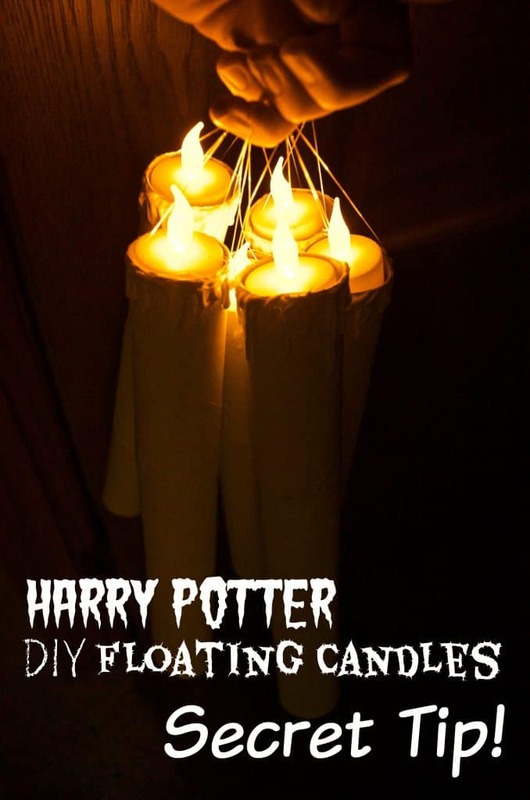 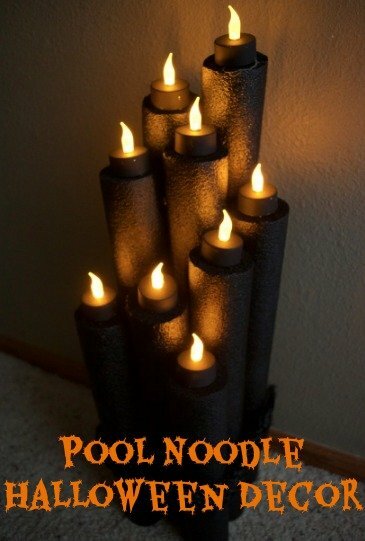 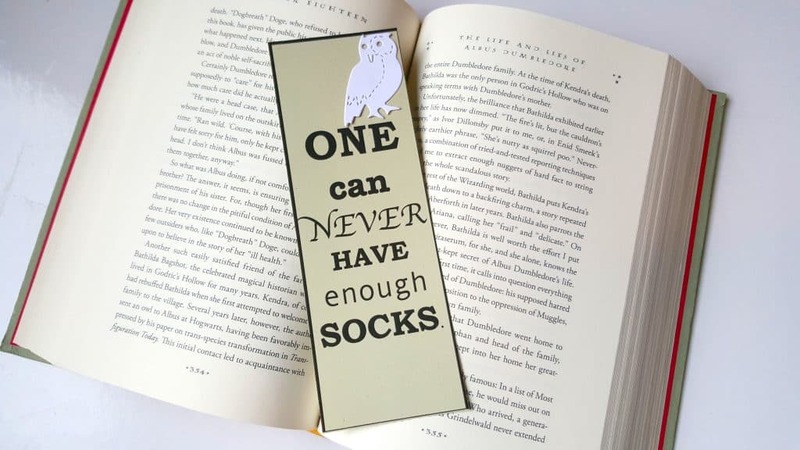 I made both extra large sizes (for big Harry Potter books) and smaller sizes (for regular books). 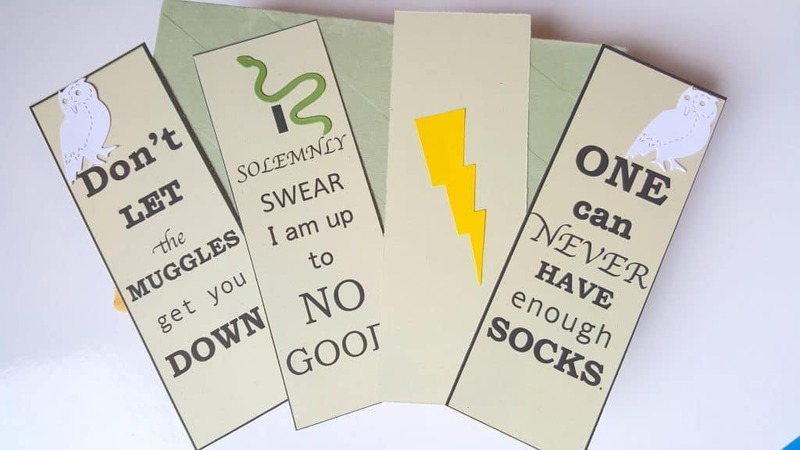 The bookmarks come with just the book quotes displayed but as you can see below I added some themed embellishments using my Ellison SuperStar die cut machine (or use the Sizzix die machine here!). 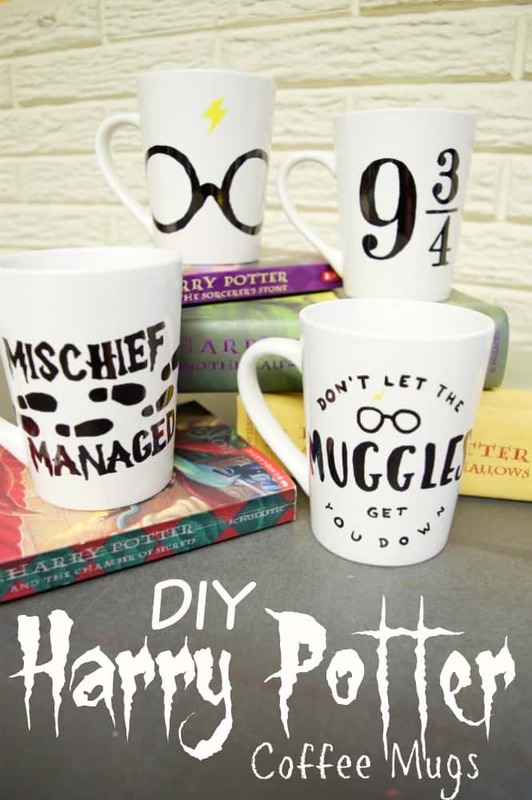 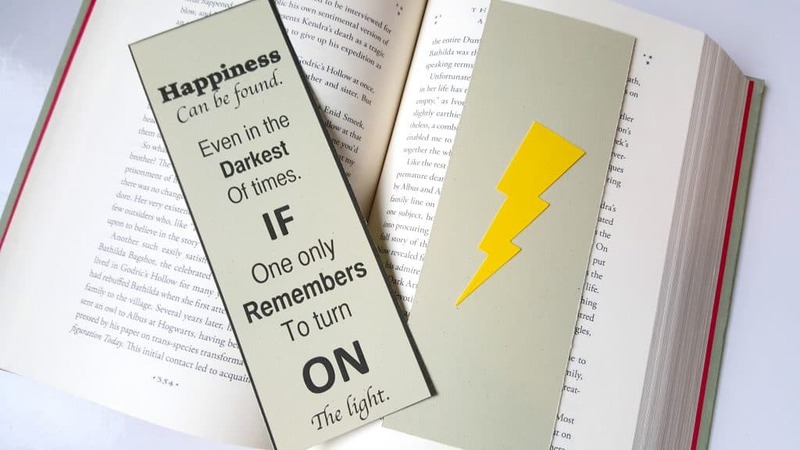 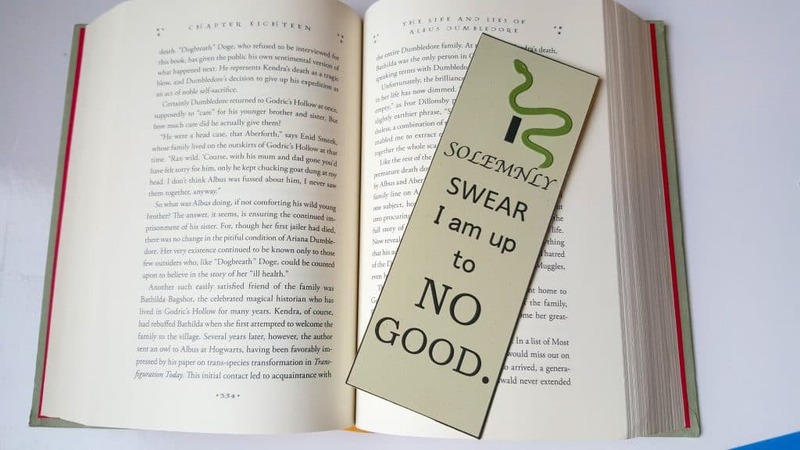 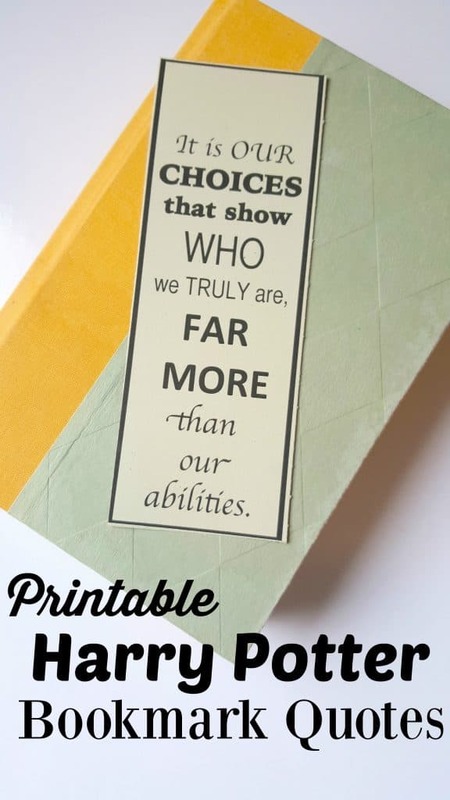 You can easily use Harry Potter stickers or other small die cuts though if you want to make it fancier although just the book quotes look great!